Sergio Leone continues the Clint Eastwood fronted The Man With No Name Trilogy with For a Few Dollars More. 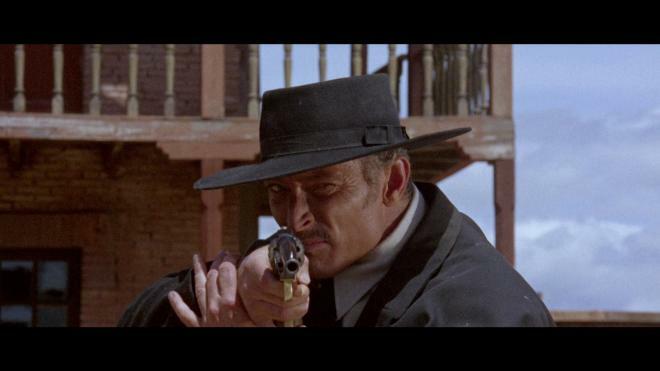 The plot of dueling bounty hunters trying to bring in the same mark may be a bit generic for the genre, but Leone crafts a memorable epic with rich characters and some of the best gunfights ever captured on film. Kino Lorber brings For a Few Dollars More to Blu-ray with a stunning transfer from a recent 4K restoration complete with three audio mixes and hours of worthwhile bonus features. Your Trilogy is complete with this release - Highly Recommended. With bandits and criminals, murder has become a professional business. Monco (Clint Eastwood) and Colonel Mortimer (Lee Van Cleef) are the most lethal men in the business. Their competing interests collide when Indio (Gian Maria Volonté) escapes from prison at the hands of his gang including Nino (Mario Brega), Groggy (Luigi Pistilli), and the maniacal hunchback Juan Wild (Klaus Kinski). If they're going to bring Indio and his gang to justice and collect the massive bounty, they're going to have to infiltrate their next heist and take them out one bullet at a time. It's a common saying when talking about favorite movies: "I can't count how many times I've seen this" but in the case of For a Few Dollars More - it's true. 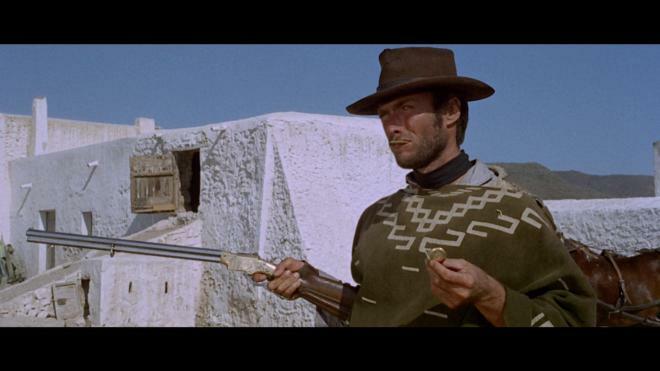 Of Sergio Leone's Man With No Name Trilogy, it's easily the one I've seen the most. It was the first one my Dad ordered from Columbia House on VHS and we nearly wore that tape out through numerous viewings. While I've always loved A Fistful of Dollars and The Good, The Bad, and The Ugly and watch them several times a year, More is the one that started my fandom. There is one reason this movie sticks for me so clearly. It's not just the great cast. It's not just great action pacing. It's not just the impeccable direction from Sergio Leone. It's that damn pocket watch/music box plot device! It sets up two critical shootouts, with incredible Ennio Morricone scoring. It starts out with the languid chimes and then all of a sudden the simple tune shifts to a full orchestra complete with pipe organ! It's this mesh of tension-filled storytelling, perfect editing, and singular music orchestration that is just perfect. This is to say nothing of the traditionally great cast. Eastwood returns as his steely-eyed gunslinger. It's a funny little piece of history that this film legally speaking isn't a sequel! When Leone set out to make the film he left out one of his old producers on A Fistful of Dollars. When that man sued for his share of the profits, a judge sided with leone who maintained Monco and Joe were, in fact, two different characters - who just so happened to look exactly alike with the same set of clothes. Just a fun piece of random movie trivia. Coupled with Eastwood is Lee Van Cleef as the revenge-driven Col. Mortimer. Lee Van Cleef was already a memorable performer in iconic westerns such as High Noon and The Man Who Shot Liberty Valance along with a bunch of B-movies from Roger Corman's movie machine. For a Few Dollars More is where he got to break out of B-movie jail and being a day-player on random television shows and be a true headlining star. On the surface, Mortimer is a cold-hearted dedicated killer with an assortment of gadgets to bring his markers in, but when the time comes, Lee conveys a deep introspective as his story is tragically aligned with Indio. 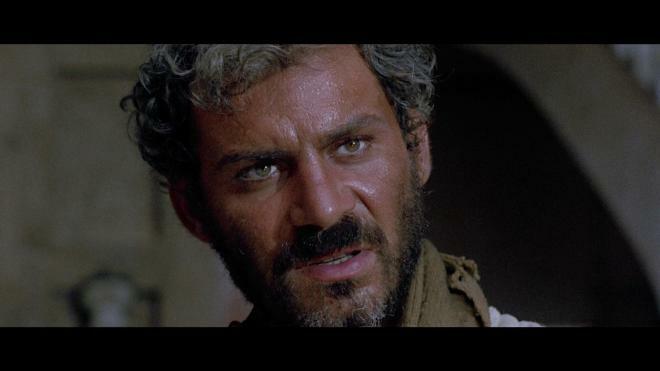 When you take a step back and look at Leone's trilogy, most often folks point to the obvious The Good, The Bad, and The Ugly as the best film of the pack. I can't disagree there. It's easily the best funded, most ambitious, and the best executed of the three. But with that, I do have to admit that For a Few Dollars More is my absolute favorite of the three. I'm willing to concede a nostalgia factor of those first memories of watching this movie with my Dad and him pushing up the volume every time a pocket watch came out. But at the same time, I love its simplicity. It's not a complicated plot at all, but it's executed so effectively that it goes beyond something basic and easy to become a true grandiose classic of the genre. 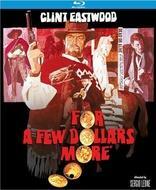 For a Few Dollars More gets a dramatic update on Blu-ray courtesy of Kino Lorber and their Studio Classics label. 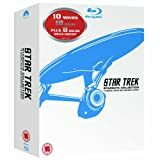 Pressed on a Region A locked BD-50 disc, the disc is housed in a standard sturdy Blu-ray case. The disc loads directly to a static image main menu with traditional navigation options. 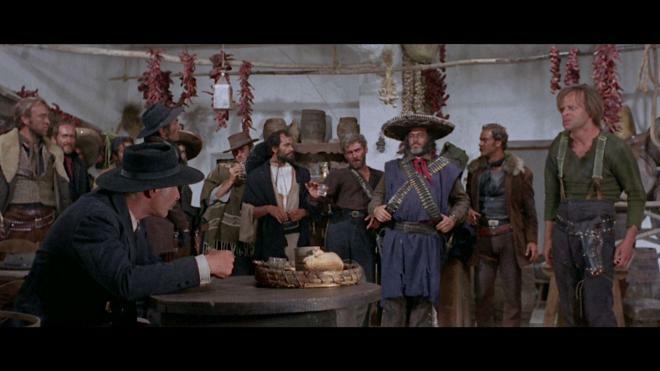 Did you enjoy how yellow A Fistful of Dollars looked? If you didn't, then you're going to be very happy with this 1080p 2.35:1 transfer culled from a recent 4K restoration! No yellow. Zilch. I don't know the particulars why More enjoys a more traditional color pallet than Fistful, but it's a welcome sight to see. Also of note, it doesn't appear as if this release was tinkered with on Kino's end, I didn't see any pushed blues or hazy blacks as we saw with The Good, The Bad, and The Ugly. With the coloring in a desirable hue, I'm also pleased to report that details are sharper and clearer with a stable grain field. Facial features, costuming, and all of the impressive sets look terrific. There were some details and patterns in the clothing I'd never noticed before so I kept having to stop the movie and watch scenes over again - which really isn't a bad thing at all! Black levels are stable without any crush troubles giving the image a terrific sense of depth. Any signs of age-related wear and tear have been removed leaving a sparkling clean and organic-looking image transfer. This is about as close to perfect as this film is going to look on home video. For a Few Dollars More rides into town with three audio options DTS-HD MA 5.1, DTS-HD MA 2.0, and the old Dolby Digital Mono. With that, you're going to have to ponder how authentic of a listening experience you want to enjoy? Between the three, I lean towards the DTS-HD MA Stereo track. It's cleaner and more impactful with better atmospherics than the old Dolby Digital Mono and it doesn't feel as unnaturally spacious as the 5.1 mix can sound in places. This isn't to say that the 5.1 track isn't good, it sounds great. Having recently watched through the old MGM disc, I'd stand to wager that this 5.1 track has been tweaked a little bit. Sound effects don't have that hollow quality they could have while gunshots aren't pushed too hard or altered like the old The Good, The Bad, and The Ugly 5.1 mix. Playing the scene where Indio's gang blow up the bank wall to steal the safe, the big explosion doesn't sound nearly as tinny in this 5.1 track as the old MGM disc. However, this explosion sound has been altered for the 5.1 and Stereo mixes giving it a much louder LFE-infused rumble than the Dolby Digital Mono mix which sounds more like a long drawn out gunshot. The reason I don't call the mono track my go-to preferred audio track is because it's just so dated sounding now. This mix has been riding home video discs for a long time - and it shows. It's much more flat sounding with the basic elements only scratching the surface. On top of some hiss, pops, and other issues, the Dolby Digital Mono just doesn't cut it anymore. It's still decent enough if that were the only option, but the DTS-HD MA Stereo track is the clear winner for my dollars. Considering what was brought together for The Good, The Bad, and The Ugly and A Fistful of Dollars, Kino yet again kills it with the bonus features. The two audio commentaries are filled with interesting tidbits and relevant information about the film. All of the new bonus features offer a great look at the production while the archival bonus features are also included. It's a hell of a set of features and well worth picking through. Kino Lorber Studio Classics completes their truly Special Edition rereleases of The Man With No Name Trilogy with For A Few Dollars More that's genuinely well worth spending a few dollars of your own for. Of the classic Trilogy, this entry is this reviewer's favorite. From the amazing characters to Leone's intricate directing and pacing to the iconic score, it doesn't get much better than this. Kino Lorber releases a fantastic single-disc edition that sports a fresh newly restored transfer that leaves the old MGM disc in the dust. 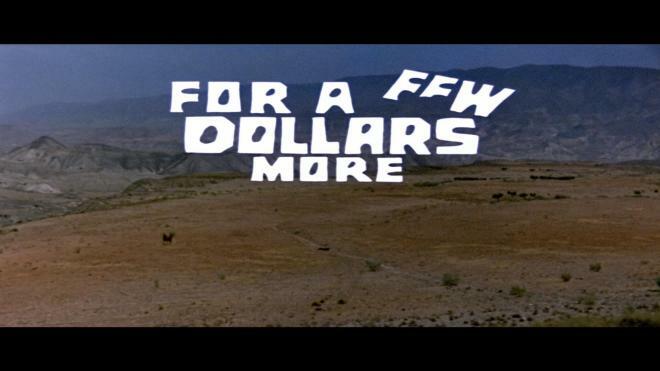 Complete with solid audio presentations and an incredible collection of bonus features that'll keep you occupied for several hours, this new For a Few Dollars More is Highly Recommended.